The casual records submitted to the county bird reports in the last twenty years have found Jack Snipes at from 12 to 30 sites annually, many of them on autumn or spring passage. This Atlas provides a much more comprehensive view of the species’ widespread distribution, showing it present in 61 tetrads during the three years. This is very much a bird of the lowlands: all but three birds were below 100 m in altitude, with only one above 200m, in the Birchenough Hill tetrad (SJ96Y) at around 400 m.
Although they are often thought to share feeding areas with Snipe, and only four of the 61 tetrads did not hold the larger species as well, the habitat analysis reveals major differences. The main habitats for Jack Snipe were semi-natural grassland or marsh (48% of habitat records), with far fewer in farmland (13%): for Snipe the proportions are 21% and 39% respectively. In more detail, birds in semi-natural grassland or marsh were in water-meadow/ grazing marsh (22%), reed swamp (10%), other open marsh (10%) and saltmarsh (5%). On farmland, there were only eight records (13% of the total of habitat codes submitted), with four of them on flooded stubble fields and only three on grassland. In six tetrads they were reported from bog (10% of the total), an interesting result considering the tiny amount of this habitat in the county, only 0.1% of the land area of Cheshire and Wirral. 24% of records were in freshwater habitats, mostly standing waterbodies (17%) of any size. Jack Snipes are highly crepuscular, usually sitting out the day on a favourite tussock, often the same one from one day to another. They feed mainly on larvae and insects and sometimes seeds, feeding from the surface more than Snipe, perhaps because of their shorter bills. Previously in the county, Coward (1910) knew the species as a regular winter resident, less plentiful than Snipe in most parts of Cheshire. Boyd (1951) called it ‘distinctly uncommon’ in the Great Budworth area: he had never seen more than four together but shooting parties had occasionally reported larger numbers. Bell’s general comments do not accord with the present picture: he wrote that their ‘chief haunts are in marshes bordering Dee and Mersey estuaries but only in small numbers. Elsewhere in the county it is exceedingly local and scarce’ (Bell 1962). As now, he noted that Jack Snipes were very unusual in the eastern hills, and ‘on the plain it favours certain localities where it is fairly regular’. Ringing studies in Britain have indeed shown that some birds turn up again at the same site from winter to winter, and that they are relatively sedentary within a winter at their favoured localities (Migration Atlas). Jack Snipes migrate here from their breeding areas in Sweden, Finland, the Baltic States and Russia, and, if forced by hard weather, some move on to France, Iberia and as far as north Africa. 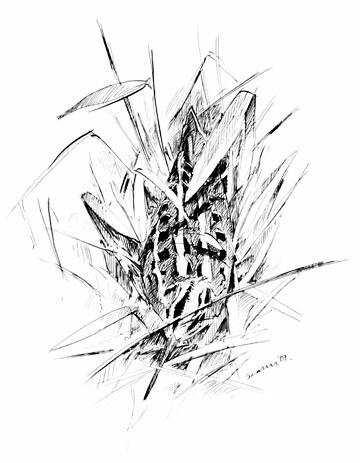 Its combination of characteristics – cryptic coloration, reluctant to flush, usually silent, crepuscular habits – makes the Jack Snipe very difficult to count. The vast majority of records were of one or two birds. Two substantial counts came from the area of Coddington Brook/ Aldersey Brook (SJ45N) where Neil Friswell flushed 12 birds from juncus rushes on 5 February 2007, and Keith Massey counted 14 at Fiddler’s Ferry (SJ58M) in 2005/ 06. The sum of counts submitted in the three winters were 60, 49 and 71 birds, allowing, since not all tetrads were visited each year, an estimate of around 100 birds present each winter: this is probably the first time that a population estimate for the county could be achieved.